Things don’t always go as planed, this post was to be about Dave’s constant quest for caramel slice and pies, but due to the arrival of something more interesting we’ll cover the caramel confectioneries at a later date, sorry. 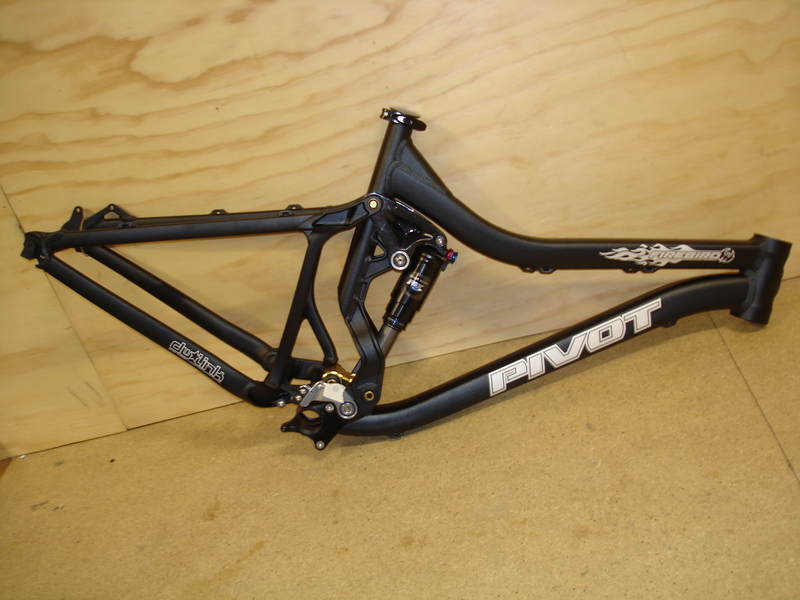 Pivot cycles have been in the store for a while now and a few people who have read the press reviews have their own now and are pretty impressed, so are we. Up until now only anodised frames have been brought in but we had a request from a good customer, and manufacturer of one of our favourite culinary sensations, for a painted finish. We were a bit surprised as most people see Ano as the way to go, paints fine but usually not quite as flash. 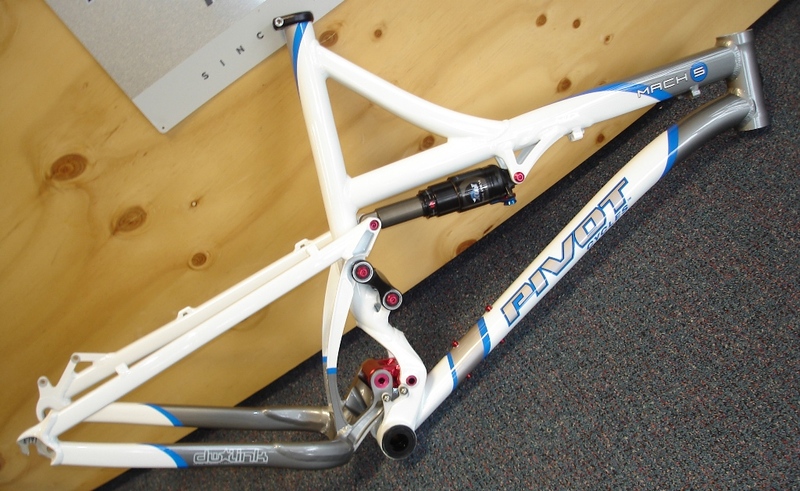 After a delay in freight, and some patience the frame arrived, WOW, we’ve seen a lot of bikes over the years and other bikes from the same stable, but this painted finish is easily the best we’ve seen on a stock finish bike ever. 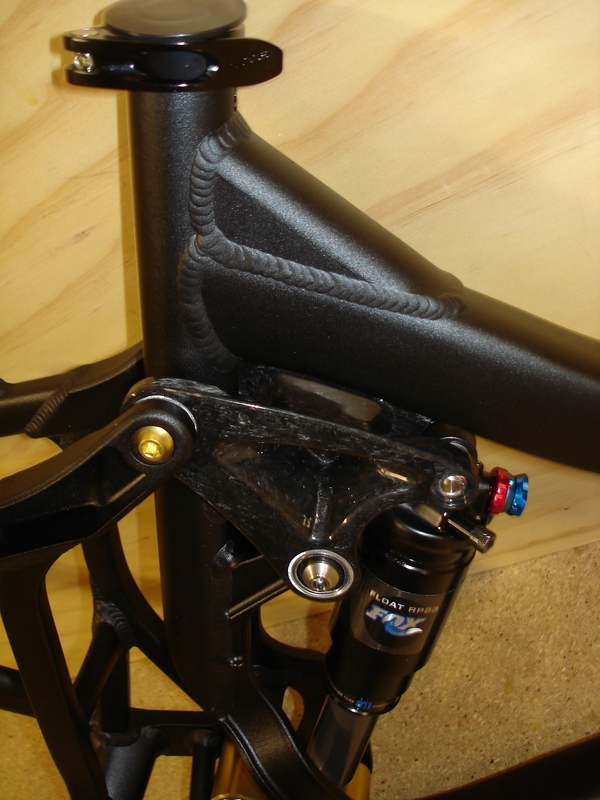 Coming form a died in the wool Santa Cruz fan its hard to admit, but this frame is awesome. 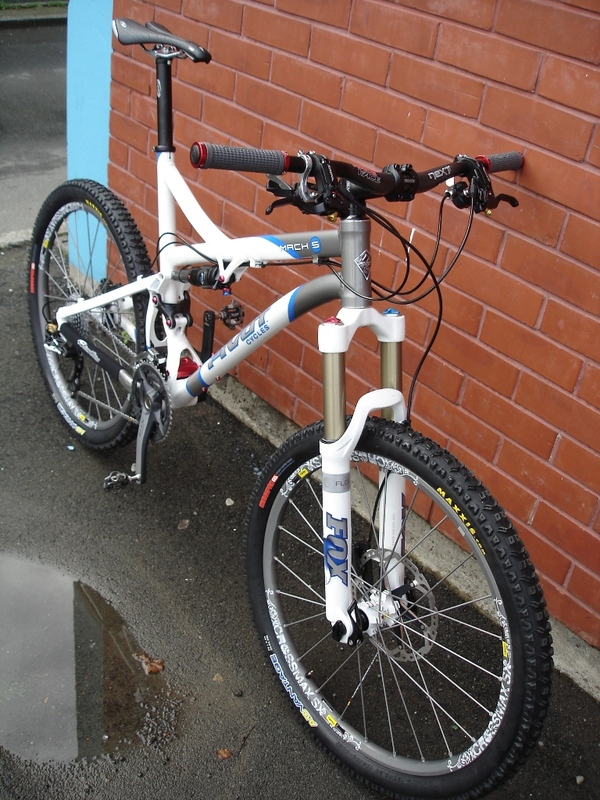 The bike is built with Float 36’s, Crossmax SX Wheels, XTR saint drive, XT saint brakes. 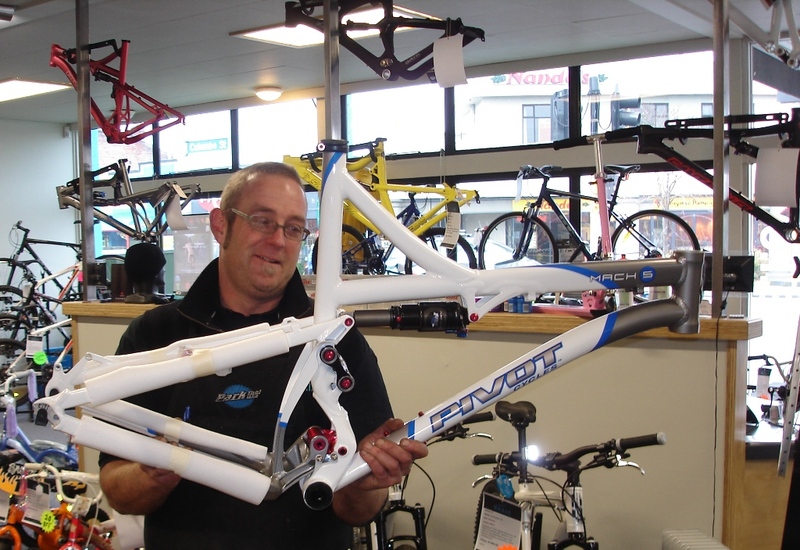 Having gone from a 29er Stumpjumper the customer was impressed to say the least! Now as if that wasn’t enough excitement for one day in the shop the second box in the door was almost too much! 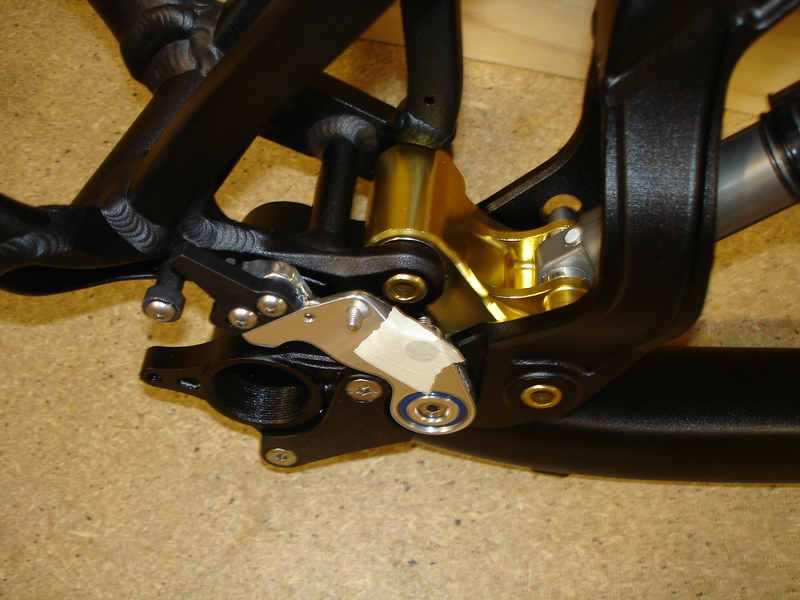 Frame # 2 was an ano black Firebird ooooh….. We’ve seen the pictures, watched the videos, now the real thing. 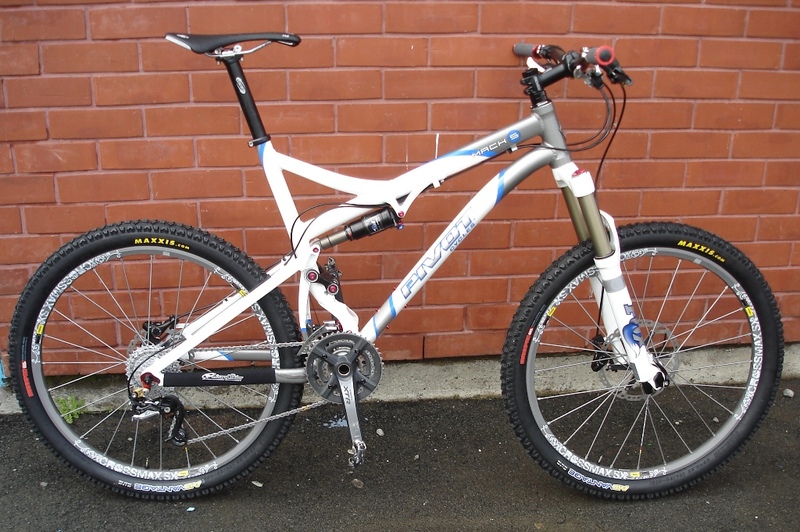 The finish, build quality and inovation like all bikes that come from Chris Cocalis is stunning. We will be getting our frame for demo soon (this ones sold) as usual we’ll give it a test for a while to see how it holds up. not that we’re worried about that the Mach 5 and 429 have been great so far!